The Fun Dome (#52): What’s up, Doc? The Fun Dome (#44): Surprise! The Fun Dome (#39): Halfway! The Fun Dome (#26): To Run? The Fun Dome (#2): What’s Fun? A pilot ejects from his F-16 while flying in combat. Follow Doug “Hoser” Mackenzie as he struggles to evade capture and survive in the mountains of Afghanistan. Get a copy of Hugging This Rock! “Paddles by Glørud Design: Made to put in the water” Northern Wilds, April 2019. “A solar power surge in Duluth” Northern Wilds, March 2019. “Grand Avenue Nordic Center marking historic firsts” Northern Wilds, Feb 2018. 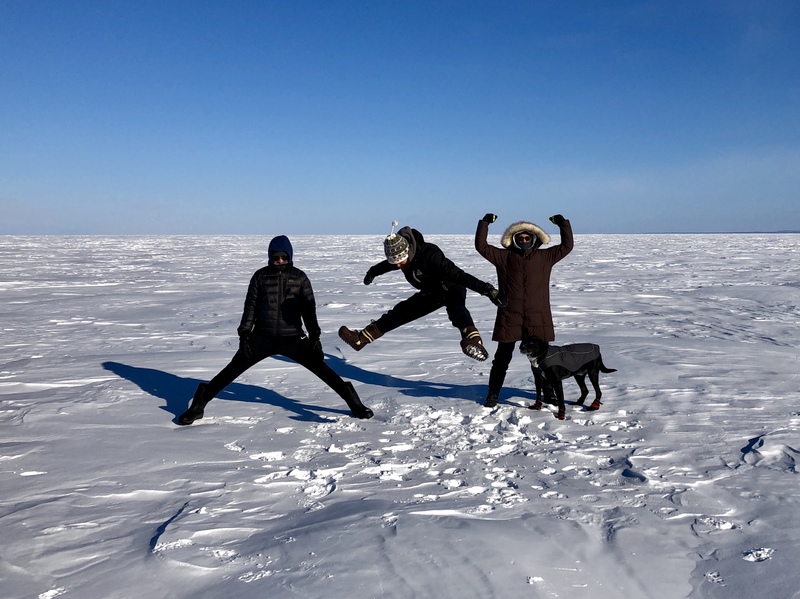 “Duluth Biathlon Club on target” Northern Wilds, Jan 2019. “The Path Through Security” The Wrath-Bearing Tree, 3 Dec 2018. “Henge” Waters Deep: A Great Lakes Poetry Anthology (Volume 1), December 2018. “Prisoner” The Freshwater Review (Volume 21), June 2018. “I Am Not Camus” and “Souls on Board” The Thunderbird Review (Issue 6), May 11, 2018. “Slipping the Surlies” Proud to Be: Writing by American Warriors (Vol. 6), anthology, November 2017. “Air Born” Winner – Poetry – 2017 Col Darron L. Wright Award, Line of Advance, May 2017. “Lightning in my Chest” and “View-Master” The Deadly Writers Patrol (#12), Spring 2017. “Crossing the T” Grey Sparrow Journal, January 31, 2017. “Get Off My Lawn” The Talking Stick (Vol. 25), September 2016. “Hugging This Rock” Sleet Magazine, Spring-Summer 2016. “The Stars and Stripes is Free” Winner – Poetry – 2016 Col Darron L. Wright Award, Line of Advance, May 2016. “Anger Management” The Thunderbird Review (Vol. 4), Apr 2016. “Sawhorse” Sleet Magazine, Fall-Winter 2015. “It Happened Anyway” O-Dark-Thirty, 17 Sept 2015. “Maybe I Should’ve Lied” Ash & Bones, Memorial Day 2015. “Quid Pro Quo”, “Did Joseph Heller Know King David?”, and “Moving Stuff Around” Poetry, Line of Advance (Vol. 4), May 2015. “Four Things” Grey Sparrow Journal, Spring 2015. “The Program” Sleet Magazine, Fall 2014. “I Can Already Hear It” PRØOF Magazine, July 2014. “Bubble” Poetry Honorable Mention, The Talking Stick (Vol. 22), September 2013. “I Won’t Remember” and “Youth” Aqueous Magazine, December 2013. “You Should Know” O-Dark-Thirty, November 2013. “I Can Already Hear It” audio from KAXE: The Beat, 23 September 2013. “Bed Socks” Duluth News Tribune, 18 Aug 2013. “The Heart Under the Lake” Going Coastal: An Anthology of Lake Superior Short Stories, 2017. “The Dirty Dozen” O-Dark-Thirty, February 20, 2017. “Sweet Ride” Aqueous Magazine, Solstice 2016, Volume Eleven, Issue I. 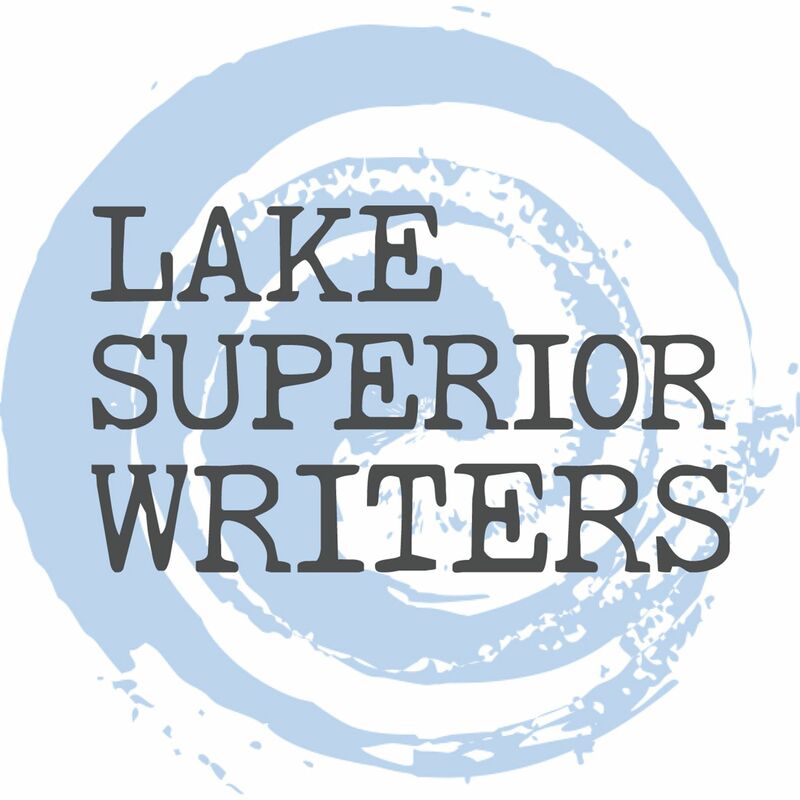 “Trail Through the Tamaracks” Short Story Winner – 2015 Lake Superior Writers Annual Contest (Theme: Super + Natural), May 2015. Down In It, e-book, March 2014. “Talk Normal” Oeuvre Magazine (Fall Fiction Issue), Nov/Dec 2009, p. 86. “No Thanks” Sleetmagazine.com, Spring 2010. “Admit Nothing, Deny Everything”, “No Thanks”, and “Learning Moment” Oeuvre Magazine, Aug 2009, p. 34. “Loony” Sleetmagazine.com (Premier Issue), Spring 2009. “The Two Days of Christmas” Northern Wilds, Dec 2018. “Accidental Tourism and War Memorials” WWrite Blog, World War One Centennial Commission, November 2018. “The Korkki Relay” Korkki Newsletter, Fall 2018. “Solo on the Kekekabic Trail” Northern Wilds, Oct 2018. “Annual Ride celebrates Gitchi-Gami Trail growth” Northern Wilds, Aug 2018. “Duluth Rowing Club builds 2nd boathouse” Northern Wilds, June 2018. “An avalanche of winter fat bike trails” Northern Wilds, March 2018. “Youth Outdoors-Duluth enters third year” Northern Wilds, Feb 2018. “The Big Red One” Winner – Nonfiction, Columbia Journal, Veterans Day Edition, 8 November 2017. “Cross-Country Skiing: How to Get Started” Northern Wilds, November 2017. “Tedd Williams: No One Has More Fun” Northern Wilds, November 2017. “Veterans Day: Pay Attention” Northern Wilds, November 2017. “Hansi Johnson on Duluth: This is Real” Silent Sports, September 2017. “Duluth Parks: A long history” Northern Wilds, August 2017. “Vikre Distillery: Foraging for good spirits” Northern Wilds, July 2017. “Where in the World is Daniel Greysolon?” Northern Wilds, June 2017. “Local view: A nearly trillion-dollar economic engine, outdoor rec deserves stronger voice” Duluth News Tribune, 28 May 2017. “Hansi Johnson on Duluth: This is Real” Northern Wilds, May 2017. “Wisconsin Waterfall Weekend” Northern Wilds, May 2017. “A Beginner’s Guide to Hiking with Kids” Northern Wilds, April 2017. “Duluth Folk School begins enthusiastic second year” Northern Wilds, April 2017. “Temples and Trees” Northern Wilds, Feb 2017. “Historic Lighthouses in Duluth Added to National Register” Northern Wilds, Feb 2017. “Altai Hok Skis: Different and Fun” Northern Wilds, Feb 2017. “The Arrowhead 135: A True Northland Adventure” Northern Wilds, Jan 2017. “The Gift of Grace” Northern Wilds, Dec 2016. “Grand Avenue Nordic Center makes progress” Northern Wilds, Dec 2016. “Canal Park Brewing Company: Nut Hatchet Brown” Northern Wilds, Dec 2016. “Bent Paddle Brewing Company: Venture Pils” Northern Wilds, Nov 2016. “The Day I Held My Fire” The War Horse, 26 Oct 2016. “The Tree’s Inclined” Silent Sports, October 2016. “Leveaux Mountain” Northern Wilds, Oct 2016. “Thirsty Pagan Brewing: Velo Saison” Northern Wilds, Oct 2016. “Duluth Rowing Club dedicates new boathouse” Northern Wilds, Sep 2016. “Bent Paddle Brewing Company: Lollygagger Pale Ale” Northern Wilds, Sep 2016. “Fitger’s Brewhouse: Apricot Wheat” Northern Wilds, Aug 2016. “Cabin Life Lessons” Northern Wilds, Jul 2016. “Castle Danger Brewery: Castle Cream Ale” Northern Wilds, Jul 2016. “DCT launches at Lutsen” Northern Wilds, Jun 2016. “Borealis Fermentery: Speckled Ghost” Northern Wilds, Jun 2016. “Blacklist Brewing Company: Or de Belgique” Northern Wilds, May 2016. “I Did Love the Place Then” Perfect Duluth Day, 9 Apr 2016. One River, Many Stories project. “Voyageur Brewing Company: Trailbreaker” Northern Wilds, Apr 2016. “Anything Will Help” Line of Advance, 22 Feb 2016. “That’s Our Leo” (Part of “The Dogs of Northern Wilds”) Northern Wilds, March 2016. “Lake Superior Brewing Company: Old Man Winter Warmer” Northern Wilds, March 2016. “Even in cold cash, investing in outdoors amenities pays off” Duluth News Tribune, 28 Feb 2016. “A Chandler Family Road Trip (Part 2)” Northern Wilds, December 2015. “A Chandler Family Road Trip (Part 1)” Northern Wilds, November 2015. “Buckle Up” The Talking Stick (Vol. 24), September 2015. Honorable Mention, Creative Nonfiction. “The Duluth Rowing Club: Back to the Future” August 2015. “Homemade Root Beer” Northern Wilds, July 2015. “Grand Avenue Nordic Center takes shape” Northern Wilds, July 2015. “Isolationist” Nonfiction Winner. Line of Advance (Vol. 4), May 2015. “6 Superior Hiking Trail Surprises” Northern Wilds, May 2015. “Duluth rolls out the welcome mat for fat bikes” Northern Wilds, February 2015. “The Fun Dome” Northern Wilds, December 2014. “Crater in Mosul” Proud to Be: Writing by American Warriors (Vol. 3), anthology, November 2014. “Luke and Eric’s Most Excellent Adventure: Mt. Rainier” Northern Wilds, August 2014. “McQuade Harbor Paddle” Northern Wilds, July 2014. “Whiteface River Mini-Expedition” Northern Wilds, May 2014. “Lakewalk Love Letter” Great Lakes Review, March 2014. “Schussing the Sugarbush” Northern Wilds, March 2014. “Instant Karma” Writers Read, January 2014. “Children’s Winter Wear: Tips and Tricks” Northern Wilds, January 2014. “Birthday Party” Proud to Be: Writing by American Warriors (Vol. 2), anthology, November 2013. Outside Duluth, e-book, October 2013. “Making Bacon” Sleetmagazine.com, Fall 2013. “Rookie Family Goes Wild” Northern Wilds, Aug/Sept 2013. “Logging the Good Times” Silent Sports, July 2013. “Let’s Go Streaking!” Silent Sports, Apr 2013. “In Pursuit of Happiness” Sleetmagazine.com, Seasonal Supplement, Winter 2013. “Kids & Bikes: The Evolution” Northern Wilds, Aug/Sep 2012. “Cross-Country Kids” Northern Wilds, Feb/Mar 2012. “Mountain bikers dream big in Duluth” Silent Sports, November 2011. “Hikes for the Whole Family” Northern Wilds, Aug/Sep 2011. “Singletrack Paradise: Duluth trails plan gaining momentum” Northern Wilds, Aug/Sep 2011. “Stand Up Paddle Board: Walking on Water” Northern Wilds, Jun/Jul 2011. “Grace from a Monk’s Hood” Silent Sports, Jun 2011. “Runners Gone Wild: A Guide to Races Up North” Northern Wilds, Apr/May 2011. “Cross Country in the City: Beginner-Friendly Ski Trails in Duluth” Northern Wilds, Dec 2010 – Jan 2011. “Mr. Ferguson’s Legacy: The Lake County Demonstration Forest” Northern Wilds, Oct/Nov 2010. “Mud, Sweat, and Trails – Backwoods Runs in Duluth” Northern Wilds, Aug/Sep 2010. “Pedaling the Piedmont Trails” Northern Wilds, Jun/Jul 2010. “Families wait by a blue star” Duluth News Tribune, 30 May 2010. “The Permanent Rookie” Northern Wilds, Apr/May 2010. “Biathlon Range comes Back to Life” Northern Wilds, Feb/Mar 2010. “Bolder at Boulder Lake” Northern Wilds, Dec/Jan 2010. “Flying Saints” Minnesota Flyer, Dec 2009. “Grace from a Monk’s Hood” The Talking Stick, Vol. 18. Honorable Mention, Creative Nonfiction. “Air National Guardsmen have best of both worlds at the 148th” Duluth News Tribune, 13 Sep 2009. “Never Too Late” Oeuvre Magazine, Jul 2009. “Flying Saints” General Aviation News, 19 Jun 2009, p. 39. “Grandma’s Marathon” Northern Wilds, Jun/Jul 2009. “Why I Serve” Northern Wilds, Mar/Apr/May 2009. “Chop Wood, Carry Water” Lake Country Journal, Mar/Apr 2009. “Bolder at Boulder Lake” Silent Sports, Mar 2009. “Pulling the Pulk” Silent Sports, Mar 2009. “Returned airman values sounds of silence, and piano keys” Duluth News Tribune, 8 Feb 2009. “Supersonic Lessons Demand a Plan” 32 Degress (Premier Issue), Fall 2008. “Find a reason to serve your country” Duluth News Tribune, 23 Nov 2008. “Pulling a Pulk” Northern Wilds, Nov/Dec 2008. “Extreme Sport: Rail Meat” Northern Breezes, Oct/Nov/Dec 2008. “And ‘money doesn’t grow on trees’…” Duluth News Tribune, 2 Nov 2008. “Green, White, and Blue” Silent Sports, Nov 2008. “United in service, united in ceremony” Duluth News Tribune, 28 Sep 2008. “Running on Park Point” Northern Wilds, Sep/Oct 2008. “Keep the plan alive” Duluth News Tribune, 31 Aug 2008. “Biking: Gitchi Gami Trail” Hometown Focus, Aug 2008. “Happy to have landed in Duluth” Duluth News Tribune, 20 Jul 2008. “Hiking: Bean and Bear Lakes” Northern Wilds, Jul/Aug 2008. “Sailing Through the Portal of Doom” Northern Wilds, Jul/Aug 2008. “Message Received?” Minnesota Flyer, Jul 2008. “The Old Man of the Mountain” Vermont Sports, Jun 2008. “Biking: Gitchi Gami Trail” Northern Wilds, May/Jun 2008. “Chop Wood, Carry Water, and Wait for the Opener” Northern Wilds, Mar/Apr 2008. “Classic Korkki” Northern Wilds, Winter 2007. “Virtual Snow” Northern Wilds, Winter 2007. “Good Views…Lofty Heights: A Vision Takes Flight!” New Hampshire ToDo, Oct 2007. “Gitchi Gami Trail Scouting” Silent Sports, Oct 2007. “Migrate to Hawk Ridge” Northern Wilds, Fall 2007. “Biking: Silver Creek Cliff” Northern Wilds, Fall 2007. “Message Received?” Flying Magazine, “I Learned About Flying from That” column, September 2007. “The Old Man” GeezerJock, September 2007. “Hiking: Oberg Mountain” Northern Wilds, Summer 2007. “Challenge Accepted” Silent Sports, Jul 2007. “Good Views” Atlantic Flyer, Apr 2007. “Hiking: Ely’s Peak” Northern Wilds, Spring 2007. “Supersonic Ski Lessons” DuluthXC.com, Jan 2007. “Good Views” Minnesota Flyer, Jan 2007. Dear DXC Column (Answer to Perplexed), DuluthXC.com, Oct 2006. “Oberg Mountain Playground” Minnesota Trails Magazine, Summer 2006. “Virtual Snow” Silent Sports, Feb 2006. “Duluth Air Guard’s good work prevents base closure” Duluth News Tribune, 2 Nov 2005. “Oberg Mountain Playground” Silent Sports, Oct 2005. “Working on the Railroad” Silent Sports, Nov 2004. “Meditation on Motivation” Silent Sports, August 2004. “Minnesota Half Voyageur Trail Marathon” FasterSkier.com, Jul 2004. “Follow Your Nose” Skinnyski.com, Oct 2002. Get a copy of Outside Duluth! Get a copy of Down In It! Neither fear nor courage saves us... These tears are shaken from the wrath-bearing tree.